Canada joins the digital nations (D7) and lands seventh on the 2018 Countries Geospatial Readiness Index; the new USGS Earth Explorer allows users to search catalogues of satellite and aerial imagery. Find out what else is happening in Canada and globally in the world of spatial data infrastructure (SDI). This post contains a collection of the latest and most significant SDI news, data, products, and events. The world’s most geospatial ready countries - Canada now in the seventh spot. The US and the UK retain their position as the leading geospatial ready countries in the 2018 Countries Geospatial Readiness Index. Countries need to assess and evaluate their geospatial preparedness. The readiness index provides context and guidance to the government to optimize the benefits derived from spatial analytics and location intelligence technology to create both economic and social value. Fisheries and Oceans Canada (DFO), recently announced the launch of a new online map detailing safe shellfish harvesting areas in real time. The shellfish harvesting map will help Canadians make informed decisions and avoid the consumption of potentially contaminated shellfish. DFO routinely monitors the levels of biotoxins, bacteria and contaminants in shellfish areas. With the online map, it’ll be able to update related information within minutes. In support of a digital government that can empower people and improve service delivery to citizens, Canada recently signed the Digital 7 (D7) charter, joining leading digital nations in a mission to harness digital technology for the benefit of their citizens. The D7 charter commits Canada to working towards core principles of digital development, with a focus on user needs, open government and a commitment to share and learn from other D7 member nations. Watch the 2018 Esri Federal GIS Conference plenary and keynote sessions to learn from top government and technology leaders who shared their experience in collaborating, innovating and connecting their work with GIS to maximize impact and create efficient workflows. 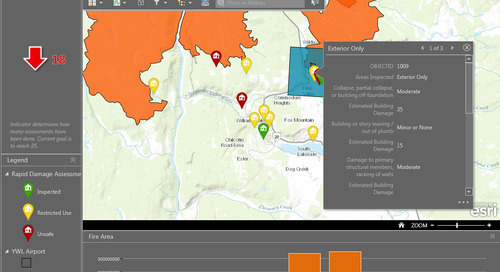 By Collecting, mapping and analyzing data; sharing information across agencies, and connecting with citizens – an effective GIS helps to create an understanding for action in government. Elaine Dawson, a public servant and a trailblazer in her promotion of enterprise data sharing and spatial data infrastructure development, has been honoured with The Roger F. Tomlinson Lifetime Achievement Award at the Esri Canada User Conference in Victoria. The award was created as a tribute to Dr. Roger F. Tomlinson O.C., a visionary geographer who conceived and developed the first geographic information system (GIS) and became known as the ‘father of GIS’. Dawson recognized the importance of sharing data among the provincial government, local governments and the utilities, ultimately saving BC taxpayers money. The most recent CanVec release includes the following updates: toponyms (entity and attribute), National Road Network (NRN) for Prince Edwards Island, some attributes for National Road Network and National Railway Network, all Atlas of Canada data, Atlas of Canada Road Network, several catalogues, and correction of many discrepancies for datasets and metadata. For years, if not decades, the Canadian geomatics community has been clamouring for a better digital elevation model (DEM) of Canada. Last year, the Canada Centre for Mapping and Earth Observation (CCMEO) rolled out a new elevation strategy for Canada with the help of the provincial and territorial governments. Part of that strategy is to build a new high-resolution digital elevation model and put it on the new Open Government Data Portal. In a perfect world, you’d be able to find all the free GIS data you need in a single website. Of course, it would have to be free, downloadable from an authoritative source. But well, you know the drill. The world’s not perfect; life’s not fair. So that’s why GISGeography put together this list to turbo-charge your search for reputable and free GIS data. Esri open data is second on the list. The new USGS Earth Explorer allows users to search catalogues of satellite and aerial imagery. The USGS Earth Explorer also provides extra capabilities such as downloading data over chronological timelines, a wide range of search criteria, and a long list of satellite and aerial imagery to choose from. Explore one of the largest databases of remote sensing data and create some of your own land cover classifications. Is your web GIS living up to its potential? With today’s technology, your GIS can be so much more than just a system of record. GIS is great at storing authoritative data, but it’s also good at sharing data and creating actionable information from data. 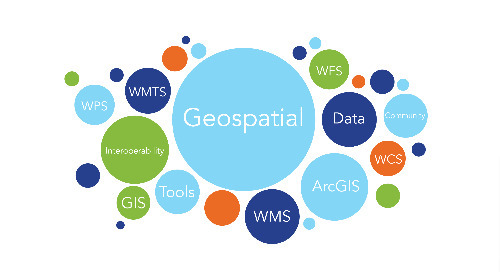 Web GIS is a system of record, a system of engagement and a system of insight….and it’s easier than ever to implement! One of the features introduced with last December’s update to ArcGIS Online was the ability to update the layers in your web map to use HTTPS. With a cloud-based SaaS such as ArcGIS Online, using HTTPS for communication over the Internet is one of the most important steps you can do to secure sensitive information.